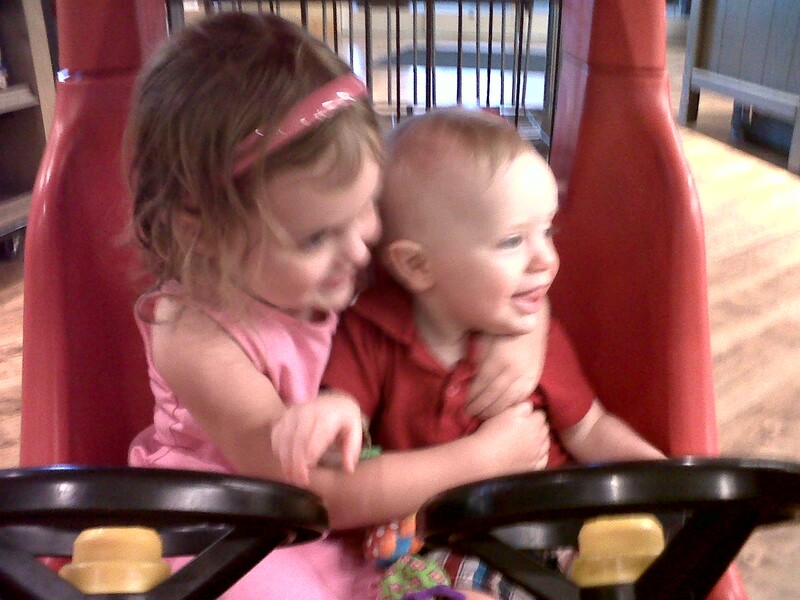 I mean, they were both giggling and shrieking with glee for the entire 20 minutes we were in the store. I love that they enjoy each other so much. They both think the other is hilarious. 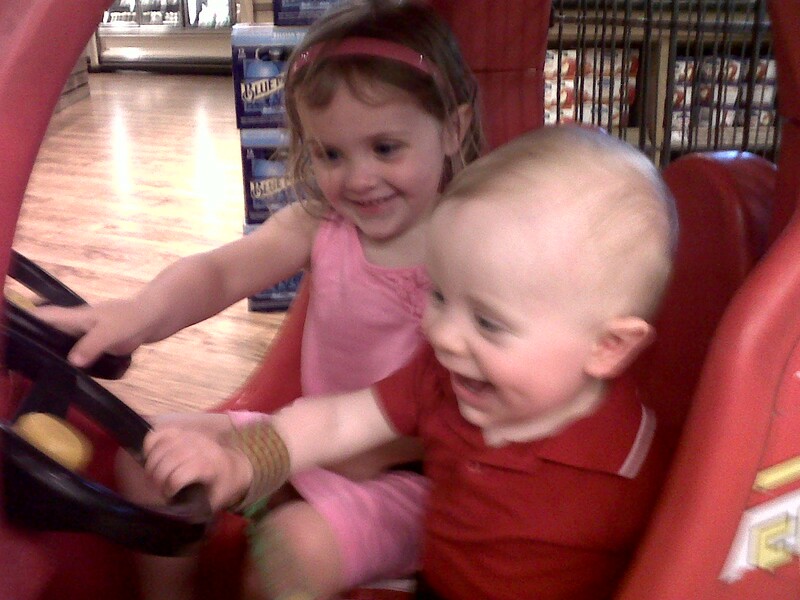 When we left the grocery store, they were laughing hysterically in the back of the car – it’s like music to my ears. Life is so much happier with two. *Can you notice that Taylor has one clump of hair that is shorter than the rest in the middle of her forehead? She cut her own hair at school yesterday. I guess she wanted to see how she looked with bangs.